Author Sir Terry Pratchett has died at the age of 66 after suffering with Alzheimer's for seven years. His death was announced on his Twitter account by his daughter in her father's own writing style. The first post said: "AT LAST, SIR TERRY, WE MUST WALK TOGETHER." In his books Death's words always appear in capitals. The next tweet said: "Terry took Death’s arm and followed him through the doors and on to the black desert under the endless night." And the last simply said: "The End." Damn, that was beautiful. RIP good sir. A fitting eulogy for Twitter. Sad times indeed, I only discovered his writing a few years ago, but fell in love with Discworld. I thought it was pretty rough that a man of such talent was diagnosed with alzheimers, but maybe that's the price he paid the devil for his amazing talent? Is it not rough when anyone else gets diagnosed with alzheimer's? But, you know what I was getting at. I'd prefer some drug fucked homeless bum gets alzheimer's than the lead researcher on the brink of a scientific breakthrough. If that makes me a monster, so be it. I wanted to post about this... but I forgot. You're not an elephant at all! We're publishing a textbook on dementia - one of the lead authors (an academic and expert on the subject) had to drop out last year because they were diagnosed with dementia. I thought this was an interesting article - written by Pratchett after his diagnosis. It explains a little about how the type of alzheimers he had worked. And I begged, "Angel of the Lord, what are these tortured screams?" If one author reflected my teen years it would be Terry Pratchett. As soon as I discovered him I pretty much devoured everything he wrote twice over. Brilliant wit and an extraordinary imagination and writing style. 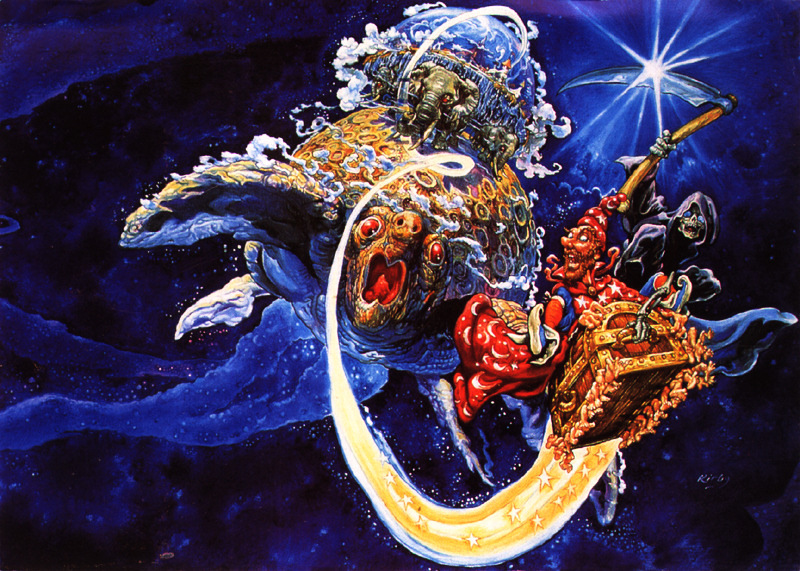 Every single facet of the Discworld universe was perfectly crafted with equal parts brilliant humour and fantasy. He also wrote so well about Death, both the character and the concept, with humour but also an extraordinary insight without being overly philosophical. I'm sad he's gone from the world but his legacy will be one of the most enduring of the contemoorary writers.